I love finding and coming up with cute Christmas ideas. How about you? This year I wanted to try a cute little idea for our table. 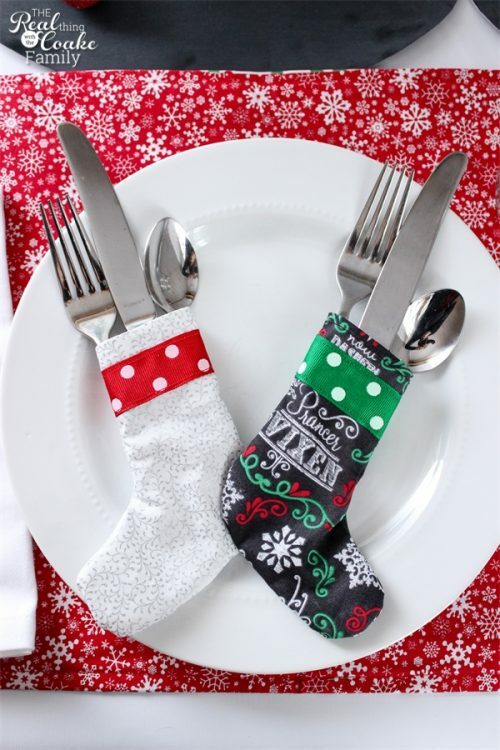 I made these stockings in which to put our utensils. 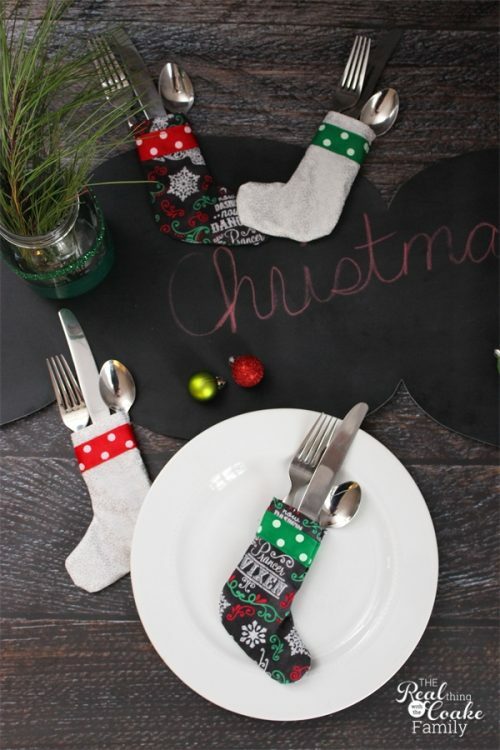 I had the idea to make these little utensil stockings for our table and knew they would be super cute. Of course, working out the pattern when you don't have a pattern can sometimes be a little bit of work. It took me a couple of revisions, but I finally came up with a pattern that worked. I've got that pattern for you, so I've saved you a bit of time. Yippee! When I began working with Offray a month or so ago and they began paying me to come up with ideas as well as supplying me with ribbon, I knew I wanted to make these utensil stockings and feature Offray ribbon on them. It was an idea I had in mind and I knew that the ribbon would add the perfect touch to them. Start by cutting out your fabric. You can download or print your pattern here. 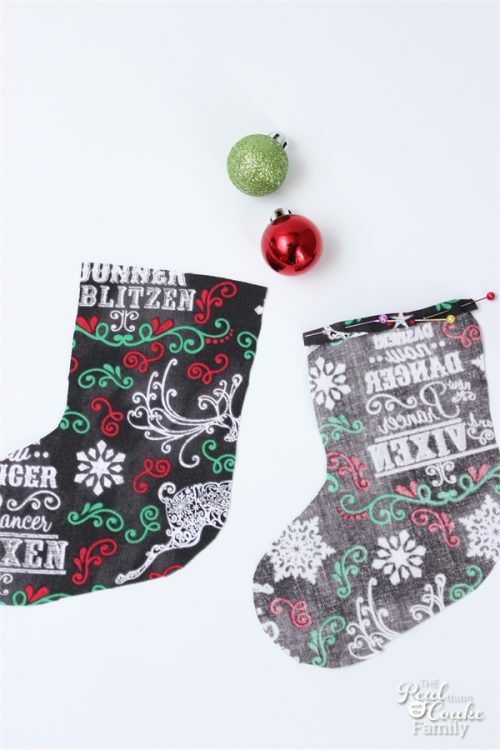 You will want two(with the toe facing in opposite directions for each cut) for each stocking you plan to make. Turn the top of each stocking down a little bit more than 1/4 of an inch. Pin in place and sew. 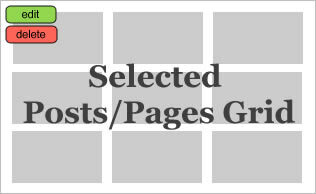 Add your ribbon. I used Offray's Red Grosgrain Polka Dot ribbon (7/8″) and Emerald Grosgrain Polka Dot ribbon (7/8″). Evenly place it 1/2″ down from the top of the stocking. Sew it into place using the same color thread. 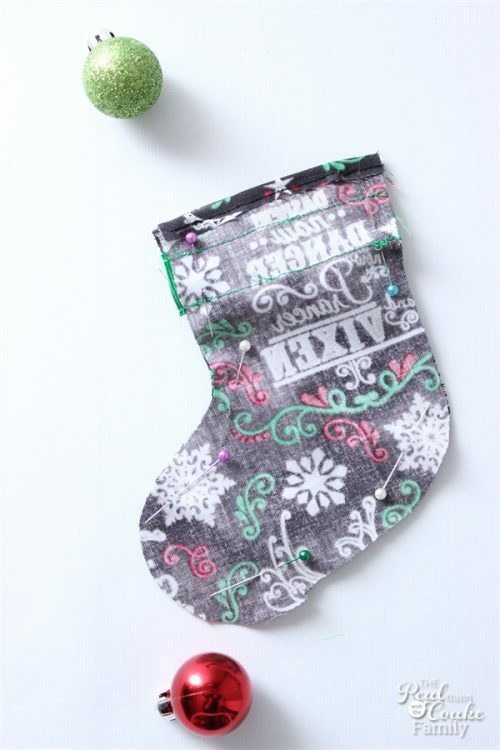 Pin the stocking, right sides together, and sew using about a 1/2″ seam. Do not sew the top part of the stocking. Turn the stocking and iron if desired. Take care not to place the hot iron on the ribbon. 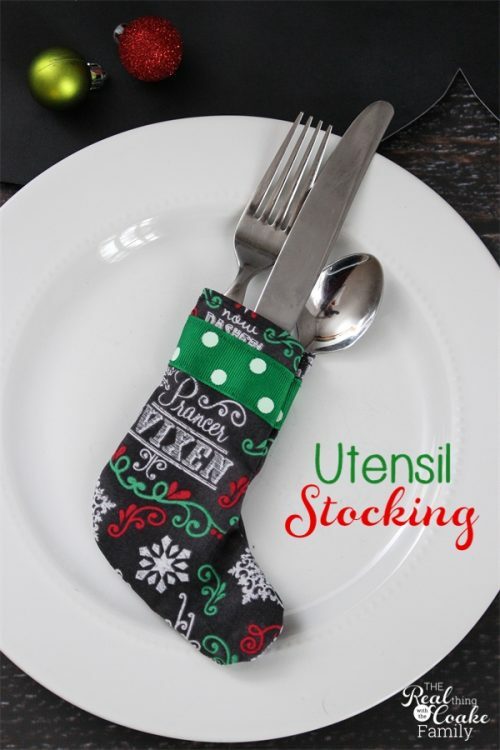 Fill your stocking with your utensils and enjoy all that cuteness! 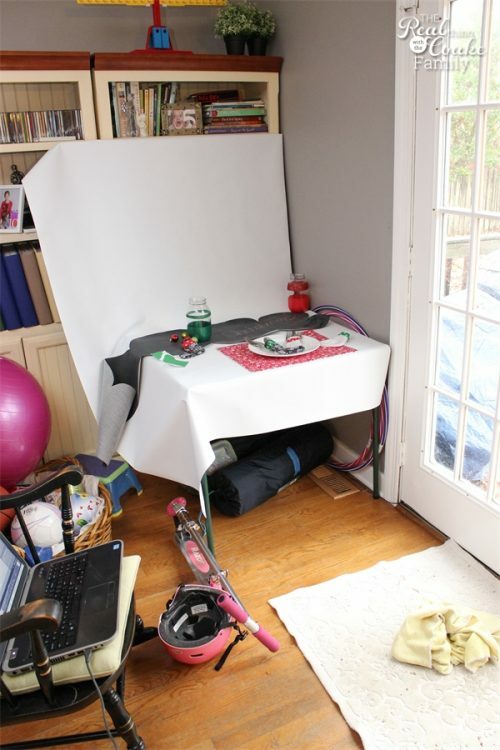 Now, since I've been sharing with you some of the real behind the scenes, I thought you might like to see my illustrious photography studio. Also known as the corner of my living room. I use a card table with a new white backdrop. It is the place that is most out of the way and with the best light. Don't you love the scooter and helmet of the floor with the camp pads (from camping 2 months ago) under the table. There is a rag on the floor because it was raining/sleeting this day and the dog needs to be dried off before she comes in. Yes, I work in luxury! LOL! It gets the job done and works. It works to take pictures like these. As you can see above, I varied the ribbon that I used on the two different fabrics I selected for this project. That way, we can tell which silverware belongs to which person. It also adds some additional fun color and fun ribbon to the table. I love polka dots! I'm adding these cute stocking utensils to the chalkboard table runner I made and the glittery mason jars. It all comes together to make a cute table and because I used the same fabric and ribbons I used in my Christmas pillows, it ties in well with my theme and/or colors for Christmas this year. If you want even more fun Christmas ribbon ideas, visit Offray's Christmas Projects. 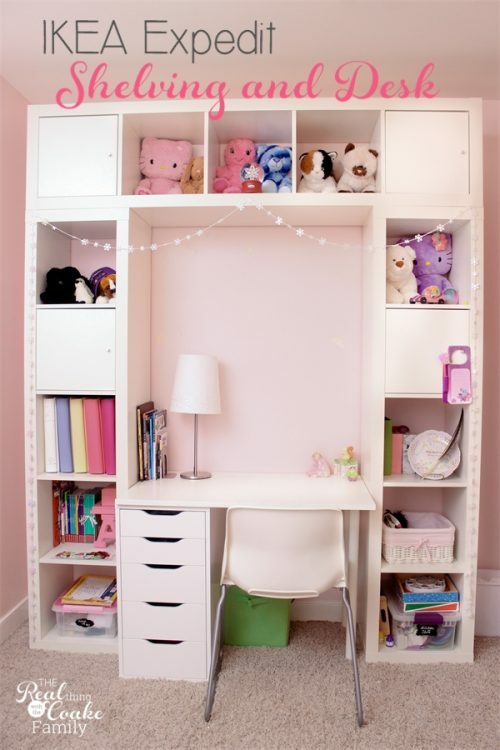 There are some cute ideas! 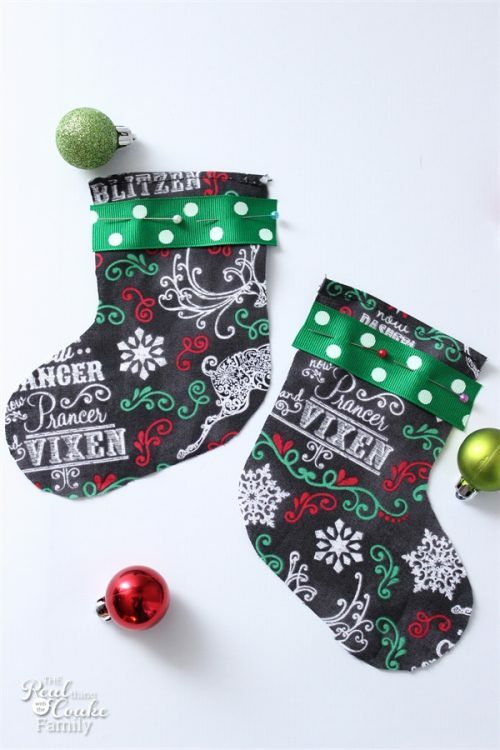 it looks very festive, cute stocking. I am more of a mitten than stocking for the silverware, I guess it is my “no shocks on the table” policy 😉 ….teenage boys are so much work! I really enjoyed the Keep it real moment, it feels like my house, no camping mat but rock climbing shoes! Looking forward to seeing more Christmas craft! The mitten idea is really cute! I hadn’t thought of the no socks on the table…but that is a good policy. Of course, if my kids or ANYONE tried to put real socks on the table they would totally hear about it! Gross! Glad you liked the real pic. It felt good to put it in there. 🙂 Merry Christmas to you! Adorable stockings! And your photography studio is way fancier than mine! Thank you! 🙂 I’m amazed that my photography studio is fancier than anything! Where do you photograph? Love them! So dang cute!!! These are too darn cute! I like the touch with the ribbon. I want to make some, but I’m afraid of my sewing machine. I love the keeping it real photo. Your area looks impeccable compared to mine! I’m a messy crafter. Thank you, Jessa! That is funny. I think people are either a messy crafter or a neat crafter. I can’t think when it is messy, so I tend to be more neat/organized. Weird, right!?! Oh my goodness these are just SO cute! Love it!